Till Fellner Interview with Bruce Duffie . . . . . . . . . 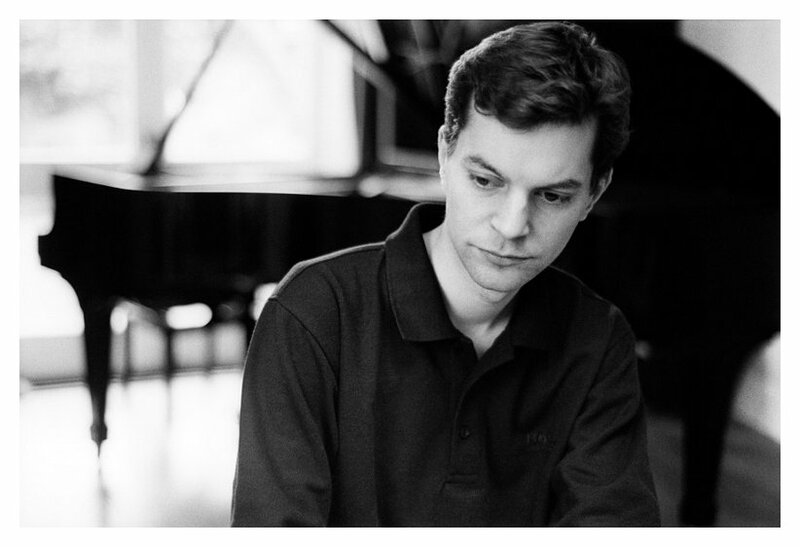 In December 2015 Till Fellner will make his debut with the Berlin Philharmonic, under the baton of Bernard Haitink, performing Mozart’s Piano Concerto No. 25 in C major. Other highlights of the 2015-16 season include recitals in major halls in Europe and Asia as well as concerts with the NHK Symphony Orchestra/Herbert Blomstedt, Chicago Symphony Orchestra/Bernard Haitink, the Academy of St Martin in the Fields/Sir Neville Marriner, and the Mahler Chamber Orchestra/Manfred Honeck. 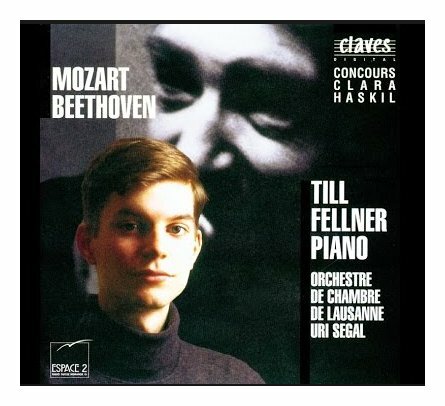 Till Fellner has collaborated with Claudio Abbado, Vladimir Ashkenazy, Semyon Bychkov, Christoph von Dohnányi, Nikolaus Harnoncourt, Sir Charles Mackerras, Kurt Masur, Kent Nagano, Jonathan Nott, Kirill Petrenko, Claudius Traunfellner, and Hans Zender, among many others. 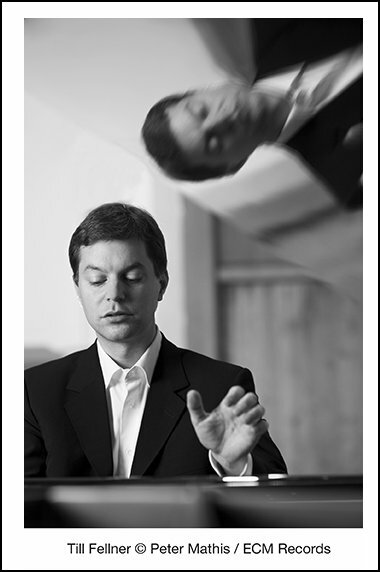 In the field of chamber music Till Fellner regularly collaborates with the British tenor Mark Padmore, with whom he will give the first performance of a composition by Hans Zender in January 2016. They will also perform lieder recitals in Germany, Tokyo and Seoul. The Belcea Quartet has invited him to celebrate their 20th anniversary in 2015 with performances of Brahms’ Piano Quintet in major cities throughout Europe and a subsequent recording. Over the past few years he has dedicated himself to two milestones of the piano repertoire: the Well-Tempered Clavier of Johann Sebastian Bach and the 32 piano sonatas of Ludwig van Beethoven. 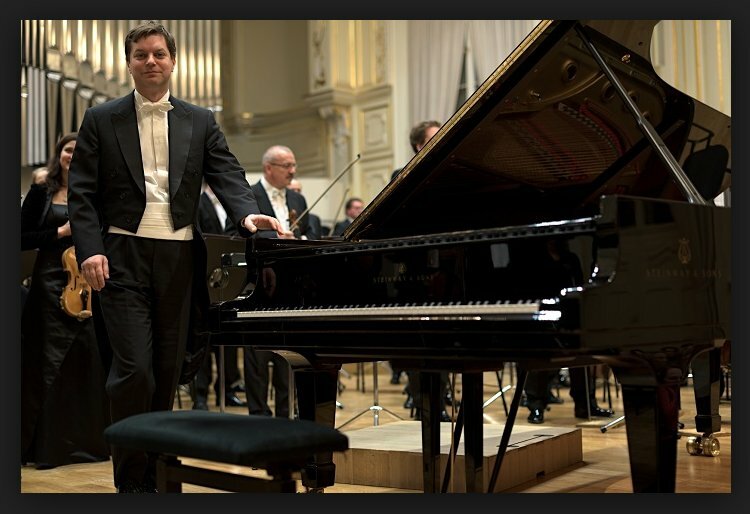 He performed the Beethoven cycle from 2008 to 2010 in New York, Washington, Tokyo, London, Paris and Vienna. Furthermore contemporary music is of great importance to him; he has given the world premieres of works by Kit Armstrong, Harrison Birtwistle, Thomas Larcher, and Alexander Stankovski. 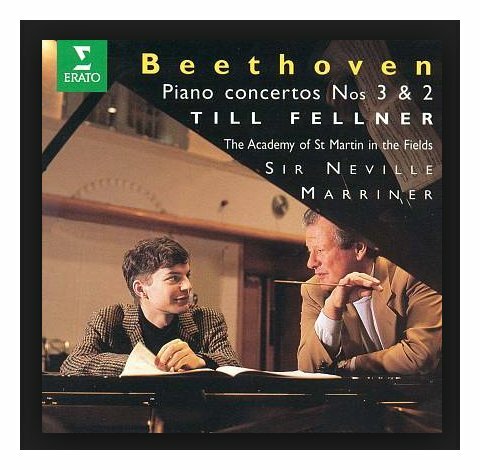 In 2012 Till Fellner withdrew from performing for a year to devote himself to the study of new repertoire and to deepen his knowledge of composition, literature and film. 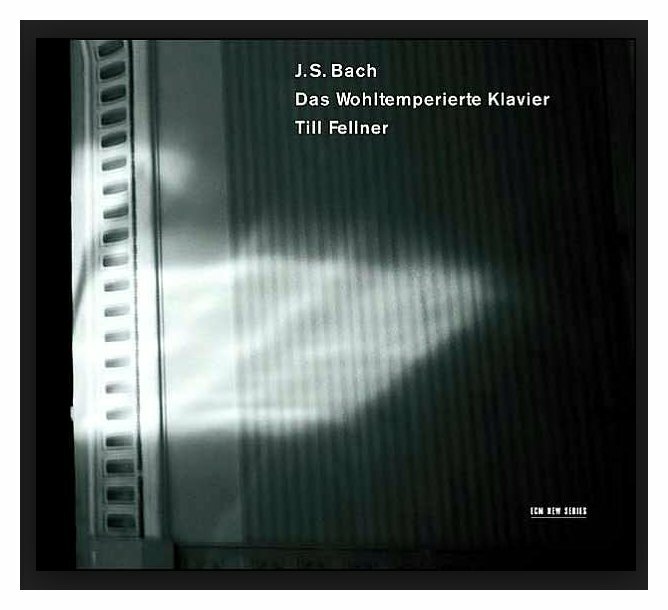 The ECM label, for whom Till Fellner is an exclusive recording artist, has released the First Book of the Well-Tempered Clavier and the Two & Three-Part Inventions of J. S. Bach, Beethoven’s Piano Concertos Nos. 4 & 5 with the Montreal Symphony Orchestra and Kent Nagano and, most recently, a CD of chamber music by Harrison Birtwistle. Since autumn 2013, Till Fellner has been engaged to teach a small circle of students at the Zurich Hochschule der Künste. 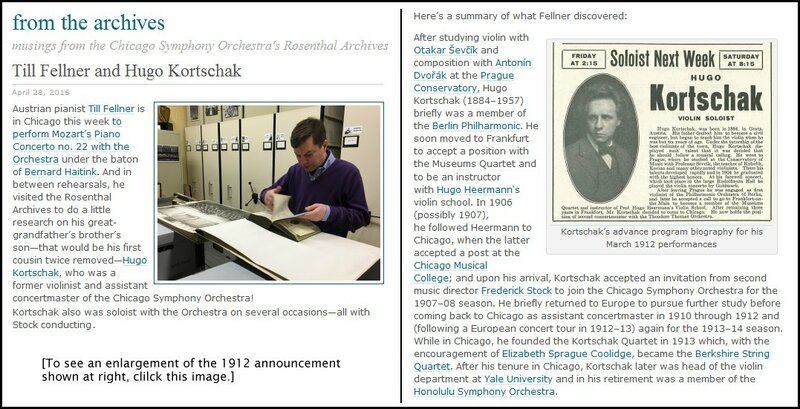 A can be seen in the box at the bottom of this webpage, Till Fellner has a very special and personal connection with the Chicago Symphony Orchestra. He made his debut with the CSO in April of 1997, and during that visit he sat down with me for a conversation. His English was quite good, but we had a translator to provide more details of some of his complex answers. Bruce Duffie: You travel around the world, and in every place you come to you get a new piano. How long is it before you make that piano your own? 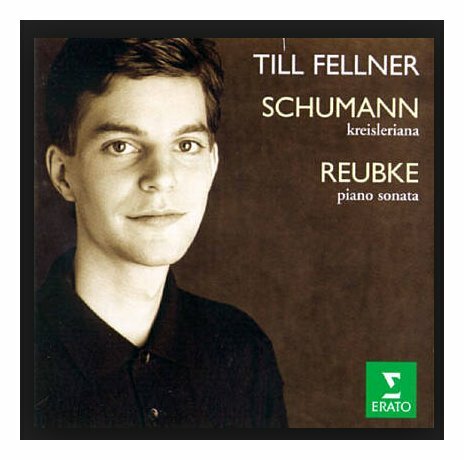 Till Fellner: Sometimes it’s very short before it becomes that. It’s difficult. It can be very difficult. Here there’s a very good technician. It’s always very important that you work together with the technician to get the piano the way you would like it. It’s no problem here at all. BD: So you rely on technicians all over the world, then? BD: Do you have certain general specifications? Do you want a light touch, heavy touch, action moved here, there, or do you just ask for specific things as needed? TF: No, I don’t have really problems with action, normally. It’s more the voicing. Very often it’s a little bit uneven, that some notes are just louder or too hard. Then you have to do it to get it even. It’s big trouble for technicians. It’s very difficult to do. It’s like art, I think. There are some technicians who are really specialists. BD: Are you getting to know who the better technicians are? BD: How much of regulation of the piano is the technician, and how much is your touch? TF: It’s just the base that you have a very good piano. Then you can work as you like and try to realize your thoughts. For me it’s very important to have equal and very nice piano. I think it’s important. BD: Do you change that regulation in the voicing at all whether you’re playing a more modern work or an earlier work, such as a Mozart? TF: No, because you can choose a different kind of piano. Sometimes you have two or three Steinways and then you can say, “That’s for Mozart, and that other’s for Liszt.” But every single piano in itself has to be right and even. You are not dependent on the character on the instrument itself. Then you can see which kind of piano I like, and for which piece. BD: At your home, can I assume that you have just the one instrument and you have to practice all of the different works on it? BD: Is that frustrating at all? TF: No, it isn’t, because I’ve got a very nice Steinway E piano. If it’s a really brilliant piano, then you can play everything on it. BD: Does it take a really brilliant pianist to play everything on it? TF: Well! [Laughs] That’s up to you. BD: [Laughs] Is this something that you’re striving for, to expand your repertoire to both older and newer works? TF: I try to, yes. For about one year I have played a lot of Bach, which is new for me. I am absolutely fascinated by his music. BD: Always on a Steinway? Never on a harpsichord? TF: Only a Steinway, yes, and just two weeks ago I played a piece by Messiaen. BD: Is there is a connection between Bach and Messiaen? TF: Yes. I played them together, Bach and Messiaen. BD: From the huge array of piano music that has been written over 400 years, how do you decide which pieces you are going to work on and spend time learning, and which pieces you will set aside? TF: I’ve decided to play mostly the so-called German repertoire, so that’s Bach, Mozart, Beethoven, Schubert. I also play Schumann quite a lot and also Liszt. TF: It’s the kind of music that is most important for me, and if I may say, I think it’s just the best music that’s been written. BD: Is it the best music for you, or is it the best music for the piano? TF: I can only say for me it’s the best music and the most important music. There are other pianists who can play the French music and Russian music, which I adore, but I don’t feel so comfortable with this kind of music. BD: You’re still very young, so you may add those to your repertoire later. BD: What is it about Schumann, Liszt, and Bach that grabs you? TF: Well, everything. Of course, there’s the form of the pieces. Everything is very well constructed, but nevertheless there is a lot of passion and feelings in the pieces itself. BD: How much of this passion is in the music, and how much of it do you bring to the music? TF: It’s in the music, and you have to find it in the music. BD: So it’s always a sense of discovery? BD: Do you put nothing of yourself into it? TF: No, I don’t want to. I just try to find out what’s the meaning of the piece, and what the composer wants to say. Then, of course, you have to have your own feelings because otherwise you can’t play it. But it’s not that I say, “I played the piece and it’s just my feelings which I’ve put in this.” I wouldn’t say that. I want to stay in the background, to honor the composer. I don’t want to say that I can only play the things which I also somehow experience in terms of feelings, and will then put those feelings into this piece. But I try never to be too much in front, in the center of everything. That’s what I actually never do. I am always devoting myself to the music. BD: When you’re looking at a piece, is this something you can understand just by reading the piece, or do you have to play it and also hear it before you know if you want to delve into it? TF: It can be both. I used to practice quite a lot without playing. I liked to study the score. BD: On a silent keyboard, or just reading it with your eyes? TF: Reading. You can see a lot of things when you’re not playing and having troubles. That’s very interesting. BD: Do you feel that you’re part of a line, a lineage, of pianists dating back to the composers themselves? TF: That’s difficult to say, but there is quite a big influence from Alfred Brendel, who is my teacher and has been for five or six years. We work not only on technique, but also with the repertoire. I wouldn’t say there’s a line, because I find it too much to say this, but I’m just very impressed by him. He is a big image for me. BD: And obviously, he wouldn’t continue working with you if he were not impressed with you! BD: Are you conscious of the public that is to your right when you are playing? TF: Yes. You have to be because you tell the people what you are doing. It’s not like in a studio, or at home. The message has to go out to the public, and I can feel the public if they are quiet or are concentrating more. It’s a communication. BD: So it’s the composer and then you, and then the public to complete the circle? BD: When you’re working on a piece and rehearsing it, do you get it so that it’s exactly right and then present a duplicate to the public, or do you wait for a little inspiration on the performance night? TF: Sometimes the public can be an inspiration, but just the music is an inspiration. You work on a piece for months, and for me almost every day it’s a new experience. Maybe it’s just a detail, but it’s not the same twice. That’s, of course, very exciting. TF: Well, not for me. [Laughs] Not yet! BD: You’ve made some recordings. Are those recordings perfect? TF: No. It’s the same with concerts. I think it’s always a moment, like a flash of, like some picture you shoot. It’s really just this moment on which I will work even when recording three or four days. I try my best, but it always develops from me. So if I listen to a recording I made two years ago I say, “It’s fine, but today I would play it a little different.” Otherwise, I would stop. BD: Would you stop playing entirely, or just stop playing that piece? TF: Well, at least that piece. BD: Do you play the same for the microphone as you do for the public? TF: I try to, yes. I try to play it like in a concert. I always prefer to play the whole piece, instead of little portions, but sometimes you have to play little sections. But in general I just play through it like in a concert. BD: So you get the whole piece down, and then maybe correct the tiny details? BD: Do you find that the public is expecting the same kind of note perfection in the concert that they hear on your records? TF: I don’t think so. Maybe somebody is, but if it’s an exciting performance, it’s no problem if there are a few notes wrong. It’s fine. I don’t care. Of course, I don’t like it, but if it happens and I think it’s okay. BD: You’re going for the bigger picture? TF: Yes, and very often it’s just a coincidence if you make a mistake. But if you miss the character of a piece, then that’s a bad mistake. BD: How do you divide your career between solo recitals, chamber music, and concertos? TF: I would say recitals are the most important for me. TF: I feel it’s the most difficult thing because you are alone onstage. You have to present a whole program, not just one piano concerto, and you have to also be quite creative about your programs. It is important how you build up your recital programs, and also for the repertoire. So that’s the most important thing for me. Then I play a lot of orchestra concerts and a little chamber music. I play in a trio with Thomas Zehetmair and Heinrich Schiff, for example. BD: Is it satisfying to play in a trio? TF: Yes, very much. As a pianist you normally work alone, so it’s very nice to share with other musicians. It’s great fun. BD: Is that what music should be — fun? TF: Yes, I think so. It is not only fun. Sometimes it’s not very fun when we work together, but it can be, yes. BD: Even when bumping heads with the other two? BD: But eventually you do arrive at a consensus? TF: Yes. If you meet in a chamber music formation, however, then there has to be the right chemistry between the people. Then you can talk about details, and one persuades the others, and so on. But there has to be a general feeling about it. BD: You play many concert dates during the year. Are you careful to leave enough time for yourself, and to practice, and also for a personal life? TF: I try to, yes. For example, last year in November and December I didn’t play one concert. I had eight weeks off just to study new pieces and to try to think about it a little bit. BD: Do you ever get completely away from the piano for a day or two? TF: Yes. I can, yes. BD: Is that a good feeling, or do you miss it? TF: No, I don’t miss it. If it’s just one day, it’s fine. If it would be one week, I don’t know... maybe I would miss it then. BD: Coming back to the solo recital, when you’re building a program does the location, the city or the hall have any bearing on what pieces you will play? TF: Normally not, but sometimes you just have to be careful what to play. If it’s a good program, then you can play it everywhere. BD: Do you take the same program around to various places? BD: No adjustments for this house or that house? BD: Does the size of the house make any difference — if you’re in a very small, intimate hall, or a great big barn? TF: I don’t have any problems with big halls. Sometimes it’s the opposite. It’s difficult to play in a very small place and I don’t know why. But I play Bach in big halls. It’s fine; you can do it. BD: It doesn’t change your approach to the piano, or your technique, or your tempo or anything else? TF: It has an influence, maybe, on your behavior. If it’s a very big hall, then you have to exaggerate a little bit because the people are also just behind you and they have to understand what you mean. In a very small hall, maybe you need little movements. So that’s maybe a difference. BD: You can be more subtle? TF: Yes, but I think you can be subtle in big halls, too, if it’s a good acoustic, of course. BD: That’s the main thing, the acoustic? BD: Let me ask a very easy question. What’s the purpose of music? BD: [With a gentle nudge] Oh, ruminate a little for me! It must be more than just playing the concerts and getting the music out, is it not? TF: Of course it is, yes. I feel very happy most of the time when I am playing the piano practicing and also during the concert. Mostly I really enjoy it. BD: When you play concerto, you and the conductor have to agree on everything. Do you always agree on everything, or are there times when you have to pull the conductor a little bit? TF: Of course, and sometimes the conductor has to pull. It’s a discussion, and you have to find compromise. It’s similar to chamber music. If it’s a good mood between conductor and soloist, it’s not a problem to change little details. Sometimes there are two completely different persons and it won’t work, so you will not try it again. BD: You make a note in your diary not to work with that conductor again? BD: I assume, though, that most performances are successful? TF: Yes. Somehow, it works most of the times, but there are conductors where you are very happy. For example, I played a Mozart Concerto with Heinz Holliger just a couple of weeks ago in Birmingham, and I felt very close to him. It was just great, sort of a highlight. BD: Is there a secret to playing Mozart? TF: If I would know it, I’d tell you. For me, it’s very difficult. I played an all-Mozart recital about two years ago, and this required tough weeks for me to prepare this. It’s really difficult. It’s not many notes, but a lot between the notes. BD: You didn’t regret agreeing to do an all-Mozart recital, did you? TF: No. I just tell you it’s very hard! BD: You’ve won a number of competitions. TF: Yes. Just last week was a big competition. BD: Is that really the way to go, to win competitions? It seems like such an awkward way to judge one pianist from a number of pianists. TF: It is. I was interested in the repertoire of this competition because it’s just my repertoire. It’s a lot of Mozart, Beethoven, Schubert. You then have to play Mozart and Beethoven piano concertos at the final. 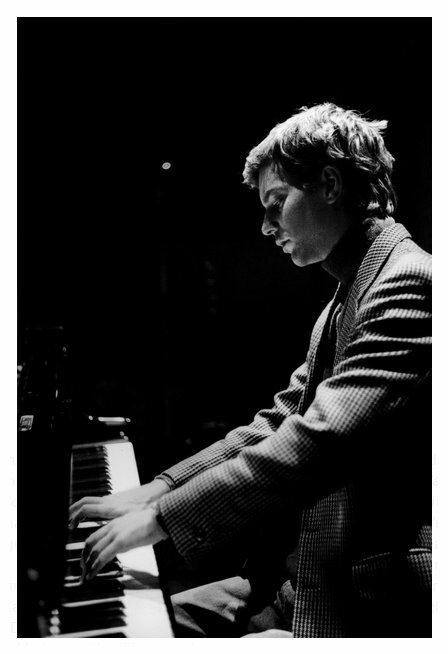 Also it’s a very nice competition because it’s in public; it’s with audience, so for me it felt like playing concerts. Fortunately I won the competition, but it was not like playing in an empty room with just seven or eight gray men as the jury. It was more like playing concerts. BD: Is that the way competitions should be? TF: For me, yes, absolutely. TF: I’m quite young, too, but I have tried not to play too many concerts. I still try just to practice and build up a repertoire very slowly and continuously, but not like a rising star, not very fast. I always feel it will be a profession for me for my whole life, so it’s not so interesting if you have ten CDs at the age of thirty instead of just two. BD: It’s the concerts and the entire career that are of interest to you? TF: Yes. I think it’s important to take time, not to be too quick. BD: When you play Mozart or Beethoven or any of these composers, where is the balance between the art and the entertainment? TF: I think it’s both at the same time, in Mozart. There is a famous letter that Mozart wrote where he mentions that it’s at the same time for the big audience and for the connoisseurs. I feel that very often with Mozart, especially with this C major concerto. It’s an incredible piece for all composers and musicians, but at the same time it’s a great pleasure to listen. BD: Will you eventually do all twenty-seven of the Mozart concerti? TF: I doubt it, but I don’t know. BD: Is that just simply too much? TF: It’s too much, I think, yes. If I can manage to play ten or fifteen of the really important concertos, then I will be quite happy. I play all the Beethoven, but it’s just five. It’s easy. But all 27 Mozarts? Maybe. BD: What about the sonatas? Will you do cycles of them? TF: Beethoven, definitely yes. I will play Mozart a lot, but I don’t know if it has to be all the sonatas. BD: So with the Beethoven, thirty-two is not a terrible number? TF: It is! It is a terrible number, but as Von Bülow said, it’s The New Testament, and the Well-Tempered Clavier is The Old Testament. BD: When you come to a new piece of music, a new sonata, perhaps, or something that you haven’t played yet, do you know how long it will take before it’s ready to be presented to the public? BD: Do you play any new music? TF: No, but I hope I will. As you know, the repertoire is very big and it’s very difficult. 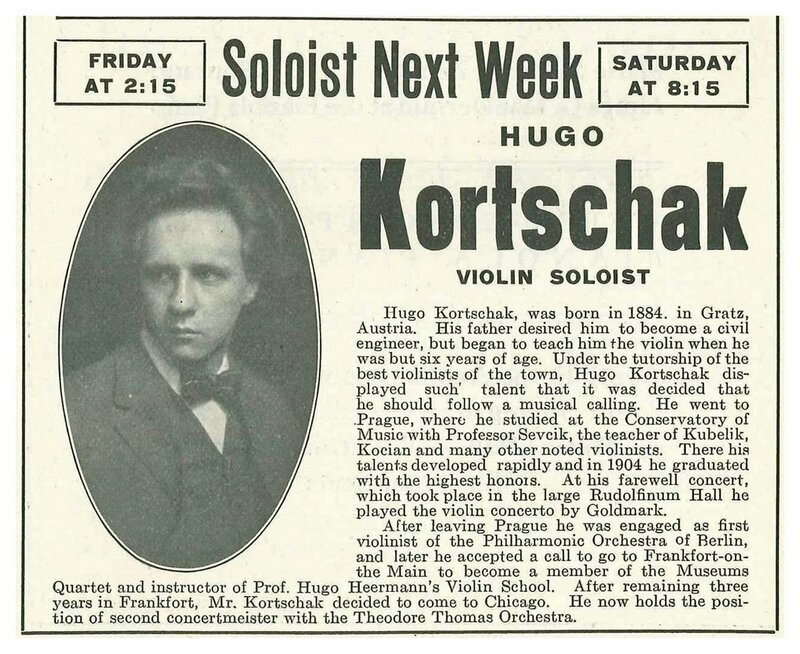 Last year I started with Kurtág, the Hungarian composer who is also a great teacher. I think I will play some of his music in the future, and Messiaen whom I mentioned, but it’s not new anymore. I try really to play twentieth century music in every recital program. For example, I’m going to play a Schubert cycle in autumn, but it will be combined with the Second Viennese School — Schoenberg, Berg, and Webern, so at least our century. BD: You feel you have to bring that music to everyone? BD: Is the music that you play really for everyone? TF: [Pauses to think a moment] I think so, yes. It’s hard to say, but I think there is an educated public just in the big towns — like here, for example — which is used to going to concerts, and which is educated from a very early age to classical music. They understand music and listen to music in another way than the soccer player who has never thought about music or heard a classical concert. So I think there’s a difference. I’m glad if young people and everybody comes to concerts and starts to listen, but definitely there’s a difference in education. BD: Should you try to bring the music to more people — younger audiences and more diverse audiences? BD: How can we do that? TF: That’s the big question today. I met a conductor last year who has conducted the Camerata Academica Salzburg quite a lot of times, and they invited school classes just to join the rehearsals. It was just public rehearsals, and he is very good in working with the orchestra and talking to them. They got a lot of young people who now regularly come and join the concerts. That’s maybe just one way to bring people to the concerts. BD: So you should make it part of your mission to play for young people regularly? BD: Do you have any advice for composers who want to write music for the piano? TF: No, because I don’t compose myself. That’s not a question for me. I can’t answer it. TF: Yes. If I still have enough time, then I just take it. [Laughs] Yes, I’m quite happy, very confident. You have to plan it, just to say, “In October, no concerts, just practicing.” You have to think all the time about which pieces I will play in two years and when will I study them and so on. So you have to be quite organized. But you learn it. This conversation was recorded in Chicago on April 11, 1997. Portions were broadcast on WNIB the following year, and again in 1999. This transcription was made in 2016, and posted on this website at that time.